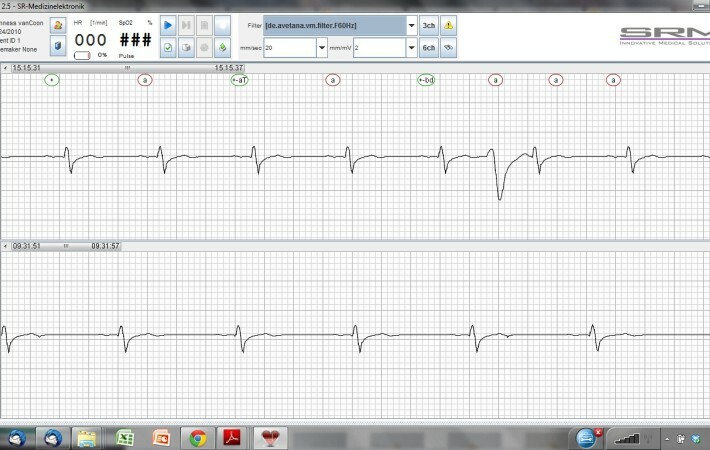 Compare selected ECGs leads to previously recordings. Record, view and analyze clinical quality ECGs on your computer of choice. Make use of clever menu options that simplify otherwise complicated tasks. VET-ECG and Software compares to traditional paper printing table ECG systems like an iPad to a type writer. The Software includes all amenities you can expect from the latest development in heart rhythm software technologies. Enjoy the latest technical and medical features available in probably the most modern ECG platform available for veterinary use. Wireless recording of ECGs give you the freedom of working from a safe distance to the patient using your preferred computer while connected to your hospital network or internet. Immediately share your results or consult with an expert. Mobile doctors use the Multi-ECG App while visiting clients and sync patient data and recordings with their database on their computer in the hospital/home. 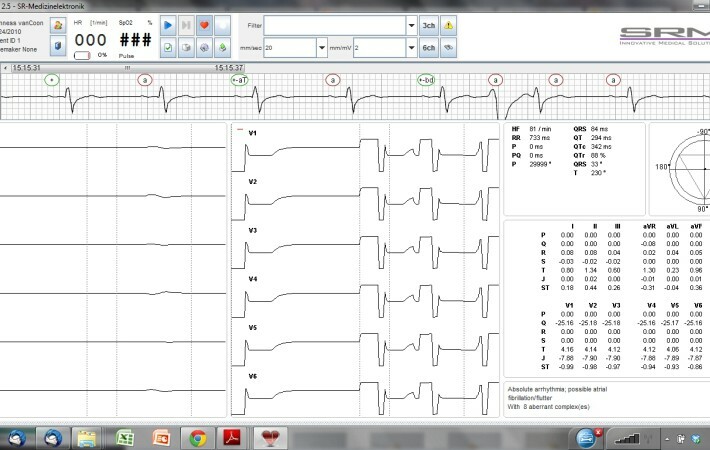 VET-ECG Software for Apple OS or Microsoft Windows XP, Windows 7 or 8. 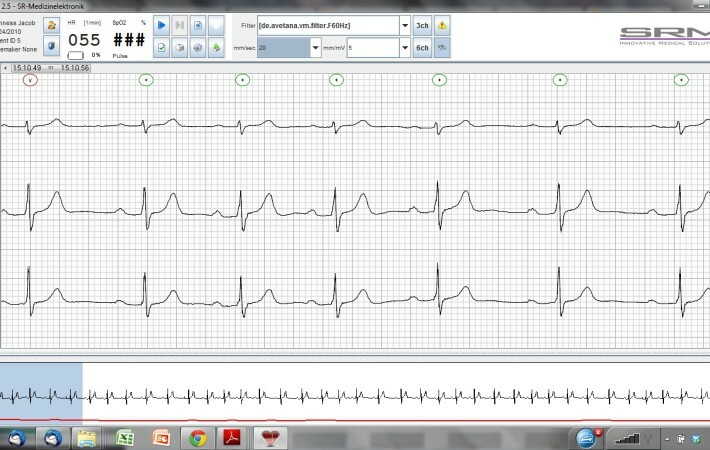 The VET-ECG Software installs on any computer with Microsoft Windows or Apple OS operating system and is designed for in-hospital users or mobile users using a note book or laptop computer. The graphic layout is easy to navigate and takes minimal time to understand. From there the user can access the patient data base, initiate ECG recordings and control all functions of the VET-ECG recorder/transmitter remotely and from a safe distance to the patient. 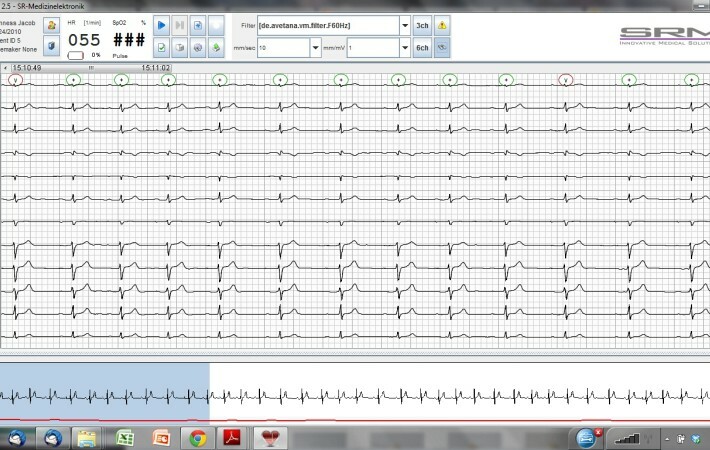 After the ECG recording is completed, the data can be viewed, analyzed and shared via email or server upload. With the printing function complete or pre-selected strips of a recording can be converted into either PDF or printed directly on any local or network printer of choice. The entire software is designed to make any task as simple as possible and so save the user valuable time. The base configuration includes all measurement features, filters and analysis functions as commonly used by ECG professionals. Advanced users interested in complete automatic ECG interpretation can acquire the advanced Interpretation Module, please inquire for a test license. 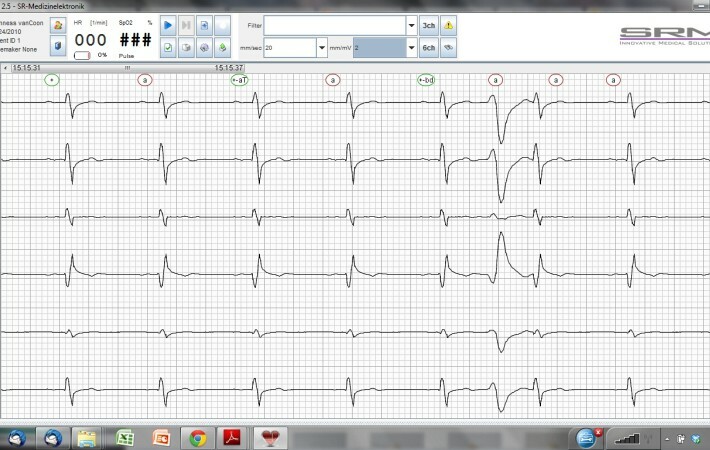 Please see list of all key features of the VET-ECG Software. Not sure? You may download and try out the software on your computer for free.